This class will teach you how to make binding and put it on your quilt. 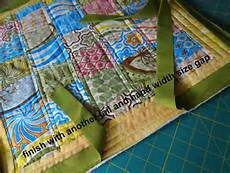 You will need to come to class with a project ready for binding that is smaller than 36" square. Please ask questions if you have.